Today was a great day. My daughters and I awoke early and headed to Swift Creek Berry Farm to pick fresh blueberries. It was a lot of fun. They have rows and rows of blueberry bushes with blueberries growing in all stages. It was not hard at all to find full colored, plump, ripe blueberries to pick. I noticed the best were those that grew at the top of the bush. 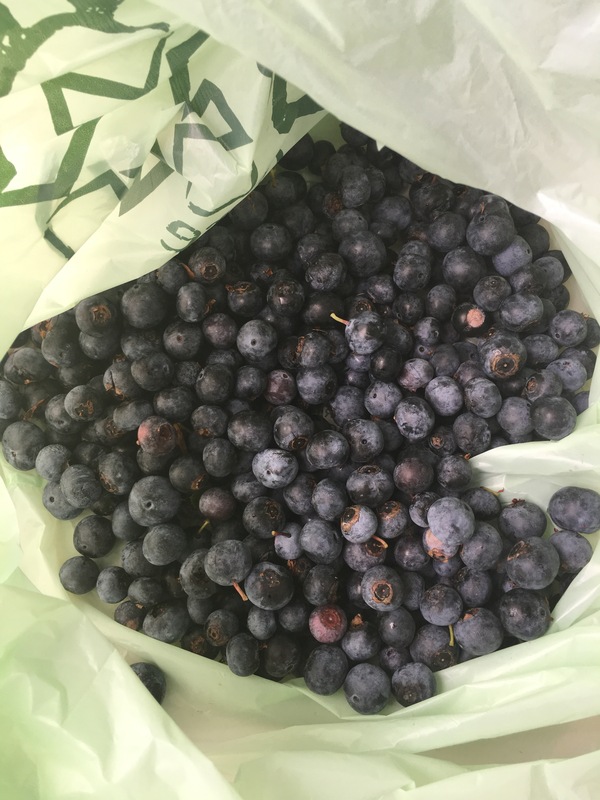 They provide you with a picking pail to use and also have fresh blueberries pre-picked for purchase if you want. They sell other goods such as local raw honey, tomatoes, corn, cucumbers, and the best part…blueberry pies. Blueberries at this farm are only $2.39 per pound. In total, I spent only $2.72! At my local Kroger it is $3.99 and up for driscoll blueberries and that price is for a small 6oz container! Shall we say deal! Not only was this a deal, but a great experience. Every year we do Strawberry Picking with Friends so I wanted to make sure that this year we also got the chance to pick fruits that are perfect during the summer season such as blueberries, blackberries, and peaches. 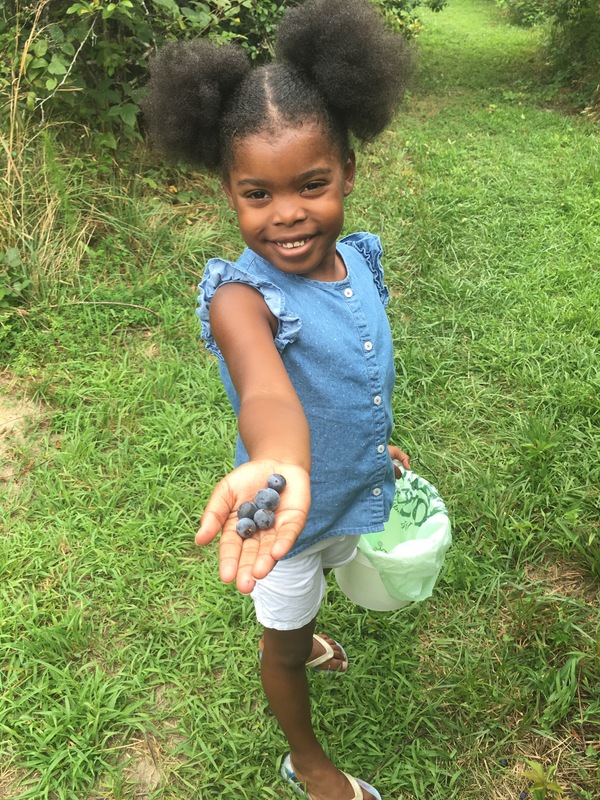 July is the best month to pick blueberries. In fact, blueberries rank only second to strawberries in popularity of berries. Not only are blueberries good to eat, but they are good for you. Blueberries are considered a “Super Fruit” because they are rich in antioxidants, are a natural source of soluble and insoluble fiber, are packed with potassium, folate, vitamin C, vitamin B6 and phytonutrient. Blueberries are proven to help protect against aging and cancer. Eating blueberries daily aids in digestion and UT health. I personally eat blueberries because they are not only rich in antioxidants as a whole, but they are especially rich in proanthocyanidins. In my recent post, Drink your Inflammation Away! I disclosed about my fight with inflammation. Well, proanthocyanidins help reverse inflammation, so I’m glad this is a fresh fruit I can stomach.. literally. Blueberries also help with weight loss, acne and skin issues, increase heart health, and boost the brain by improving focus and memory. They can be used as a natural food dye. Here are a few other pictures I captured. Beginning stages before blueberry blooms. “Bud Burst,” early stages of growth. 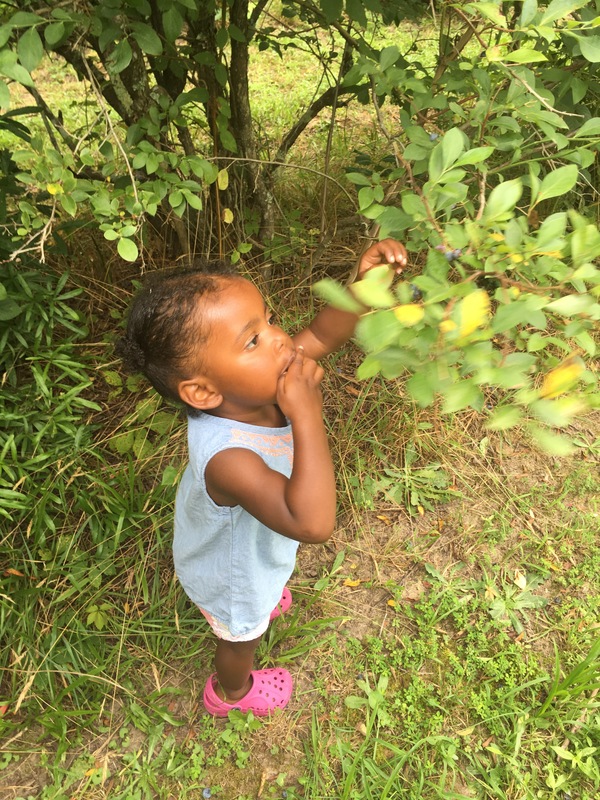 Just as she did when we went Strawberry picking, my 1 year old ate more than she picked. 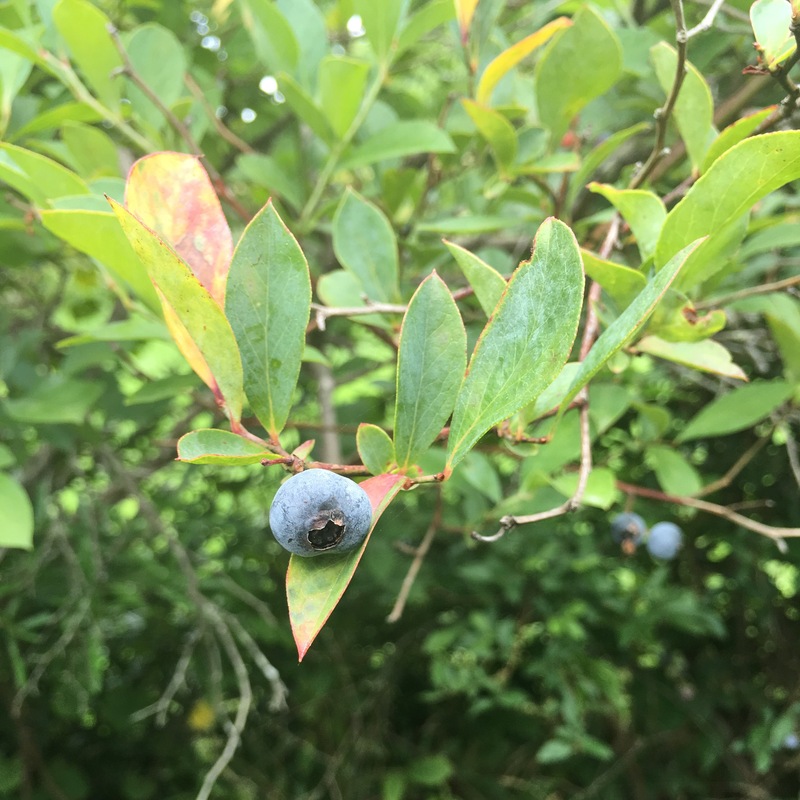 The good news is that Swift Creek Berry Farm do not spray their plants so the fruit is clean and good to eat right out in the field. Now that we are back home from the farm we have rinsed our blueberries and set them aside. The great thing about blueberries is that they are good eaten as they are. You do not necessarily have to add them to a recipe. However, my daughter has decided we will have blueberry pancakes for breakfast. That will probably be my next post so stay tuned! Previous Post Drink your Inflammation Away!